Clarity: vvs. 31.10CT CHAMPAGNE OVAL DIAMOND. 1 pcs Pink OVAL DIAMOND. Color: Pink. Material: Zircon. This beautiful pair of natural pink Ceylon sapphires are perfect for earrings. And willing to answer any and all questions regarding them. Shape: Heart Refractive Index: 1.763 Specific Gravity: 4 Species: Corrundum Origin: Sri Lanka Treatment: Heat Transparency: Transparent Total Carat Weight: 1.60 Length: 5mm Width: 5mm Depth: 2.7mm Clarity Grade: Eye Clean Mohs Scale: 9 Luster: Vitreous Specific Gravity: 4 Species: Corundum Definitely message me in regards to receiving different photographs is these do not suffice. I want you to be 100% certain before purchasing. Am open to sensible offers. 6pcs Lot 2.05ct t.w 3.5-4.5mm Round Natural Pink Sapphire Ceylon, Heated Only. This Natural Sapphire originate from Ceylon and it weigh 2.05 carats. This Pink, Round shape stone, is size 3.5 to 4.5 mm. Natural Sapphire with stunning peachy pink colour. 0.89 carat stone so a good size, with an excellent pear cut. Colour on this stone is stunning, a very bright and vivid peachy pink colour. - Fellow of the Gemmological association of Great Britain (FGA). 3mm x 3mm SQUARE PRINCESS CUT. Beautiful natural rich pink sapphire with good colour, cut & polish. NATURAL SAPPHIRE GEMSTONE. This stone is totally untreated and unheated which is very rare for sapphires. Fully certified by IGI Antwerp. Natural Sapphire with stunning pink-purple colour. 1.18 carat stone so a good size, with an excellent pear cut. 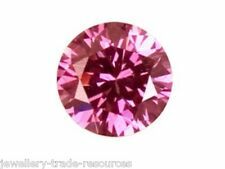 Certified 1.12ct 7.5x6mm Oval Natural Unheated Purplish Pink Sapphire Winza Tanzania. This Natural Sapphire originate from Winza, Tanzania and it weigh 1.12 carats. This Purplish Pink, Oval shape stone, is size 5.92 x 7.44 x 2.87 mm. Natural Sapphire with stunning vivid Purplish Pink colour. Colour on this stone is stunning, a very bright and vivid purplish pink colour. 0.78 carat stone so a good size, with an excellent oval cut. Natural Ceylon Sapphire with stunning deep purplish pink colour. Fully certified by IGI in Antwerp, one of their best and most well equipped gem labs. We only deal in natural, earth mined gemstones. Totally Untreated and unheated, very rare for sapphires. Particularly of this quality. Natural Sapphire with a beautiful pink purple colour. 0.60 carat stone so a good size, with an excellent oval cut. Natural Sapphire with Purplish Pink colour. Colour on this stone is stunning, a beautiful Purplish Pink colour. An untreated pink purple sapphire with colour and clarity as good as this makes this a very rare and valuable gemstone. Nice GIA Certified 1.00ct Square Cut Purplish Pink Sapphire. GIA Origin Report. 1.00ct Square Cut. Purplish Pink Sapphire. Slightly Included. Cut- Good. Polish- Very Good. Origin-East Africa. ENTER ITEM TITLE HERE. Natural Sapphire with vivid pink purple colour. Colour on this stone is stunning, a very deep but vivid pink purple colour. 0.66 carat stone so a good size, with an excellent pear cut. We only deal in natural, earth mined gemstones. 223 Pieces Pinkish Red Natural Rubies. Princess Cut. Total Weight 16.00 Carats as per Gem Identification Report from International Gemological Laboratories and Institute. Is available unless prohibited by law. This Natural Sapphire originate from Madagascar, Africa and it weigh 1.07 carats. This Purple-Pink, Cushion shape stone, is size 5.69 x 5.35 x 3.30 mm. We look forward to serving you. Gem Type: Natural Sapphire. Fully certified by IGI in Antwerp, one of their best and most well equipped gem labs. Totally untreated and unheated. Very rare for sapphires. Natural Sapphire with a stunning vivid reddish pink colour. Beautiful Certified 1.32 Carat Oval Cut Pink Ceylon Sapphire. Transparent and Slightly Included. A Beautiful Light Pink Ceylon Sapphire. CHECK OUT OUR OTHER GREAT DEALS. 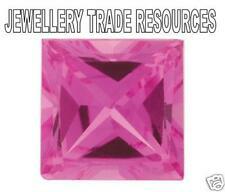 Certificate Inc VS 0.67ct 5.6×5.3mm Pear Natural Unheated Untreated Pink Sapphire, Ceylon. Cut (Shape): Pear. Gem Type: Natural Sapphire, Ceylon. Colour: Pink. Credit/Debit Card. Slightly Imperfect. Very Slightly Imperfect. Beautiful natural rich pink sapphire with good colour, cut & polish. NATURAL SAPPHIRE GEMSTONE. Finish & Polish: Excellent. 3.5mm ROUND CUT. 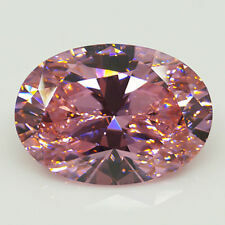 Super GIA Certified 0.45ct Purplish Pink-Orange Pear Cut Unheated Sapphire. Beautiful natural rich pink sapphire with good colour, cut & polish. NATURAL SAPPHIRE GEMSTONE. Finish & Polish: Excellent. 3.25mm ROUND CUT. 0.51 carat stone. Fully certified by IGI in Antwerp, one of their best and most well equipped gem labs. Totally Untreated and unheated so very rare for sapphires. Especially where the colour is so strong. Beautiful Certified 0.94ct Cushion Cut Transparent Violetish Pink Sapphire. A Certified 0.94 Carat Cushion Cut Violetish Pink Transparent Sapphire. Slightly Included. The Cut Is Very Good. A Very Pleasing Sapphire When In Hand. CHECK OUT OUR OTHER GREAT DEALS. Product Specifics: on sale is big lot of 10 pieces of excellent pink colour round cut natural sapphire loose gemstone, these are is un heated & shows very slight signs of visible inclusions & are of very good quality. This stone is totally untreated and unheated which is very rare for sapphires. Particularly where the colour is fine and stone so clean! Natural Sapphire with beautiful deep Orangy purplish pink colour. Certified Unheated 1.23ct Oval Cut Fancy Purplish Pink Transparent Sapphire. A 1.23 Carat Oval Cut Unheated Purplish Pink Sapphire. An Unheated Sapphire Of A Good Size and Colour. CHECK OUT OUR OTHER GREAT DEALS. Beautiful natural rich pink sapphire with good colour, cut & polish. NATURAL SAPPHIRE GEMSTONE. 4mm ROUND CUT. This Natural Padparadscha originate from Ceylon and it weigh 0.64 carats. This Orange Pink, Oval shape stone, is size 5.73 x 4.48 x 2.48 MM. We look forward to serving you. 0.64 ct "GIL" Certified 100% Natural Orange Pink Color PADPARADSCHA Sapphire, Ceylon. Beautiful Pink Sapphire. -Certificate: Full GIC certificate with picture. Certified 0.73ct Oval Cut Purplish Pink Sapphire. GIA Sapphire Report. 0.73ct Oval Cut Purplish Pink Sapphire. GIA Sapphire Report. An 0.73ct Oval Cut Purplish Pink Sapphire. Cut & Polish Are Good. Slightly Included. Why Buy From Us?. We are collectors with many years of experience, who enjoy what we do. Rare Flawless Pink Sapphire 10.5ct. Oval Shape. Both Listed Pnk Sapphires Set. A High Quality Gemstones. as can Quality can easily be seen In the photographs. Color: Purplish Pink. This Natural Sapphire originate from Ceylon and it weigh 0.43 carats. This Blue, Trillion shape stone, is size 5.0 x 4.0 x 3.0 mm. We look forward to serving you. Gem Type: Natural Sapphire. Beautiful natural rich pink sapphire with good colour, cut & polish. NATURAL SAPPHIRE GEMSTONE. 3mm ROUND CUT. Superior GIA Certified 1.53 ct Transparent Fancy Brownish Pink Orange Sapphire!! A GIA Certified 1.53 Carat Fancy Brownish Pink Orange Transparent Sapphire. Almost Eye Clean, Cut Is Very Good/Excellent. Exceptional Lustre. A Beautiful and Special Fancy Sapphire. CHECK OUT OUR OTHER GREAT DEALS. NATURAL SONGEA PADPRADASCHA SAPPHIRE OVAL-CUT LOOSE GEMSTONES 7.9 x 5.9 mm. Product Specifics: on sale is 1 piece of wonderful Natural Padpradascha sapphire loose gemstone. Colour of stone is red with orange know as Padpradascha. rough is from songea / Tanzania. Natural Cut Gems. This beautiful Pink Sapphire was won at an auction some time ago. It's origin lays deep within a mine in Ceylon, where it was expertly cut in it's neighbouring country India, then travelled all of the way to the auction. Then to me! The Refractive Index: 1.763 Specific Gravity: 4 Species: Corrundum Mohs Hardness: 9.0 I am happy to answer any and all questions, take new photos or even a video. I wish for this to sell to someone who either collects or who wishes to place it in jewellery as this truly is one of the most beautiful stones I have ever acquired and it really does deserves to be mounted in a beautiful piece of jewellery or treasured in a collection. 0.73 carat stone so a good size, with a fancy trapeze cut. This stone is totally untreated and unheated which is very rare for sapphires. Fully certified by IGI Antwerp. Natural Sapphire with stunning purple-pink colour. This Natural Sapphire originate from Winza, Tanzania and it weigh 1.12 carats. This Purplish Pink, Oval shape stone, is size 5.92 x 7.44 x 2.87 mm. We look forward to serving you. Color: Purplish Pink. Natural Sapphire 48.95ct -50pcs Small Crystal Stone Lot - Sri-Lanka.